There are good reasons why creatine is such a popular bodybuilding supplement, but not all products are made equal. Here’s how to get the most out of it. Out of all the workout supplements on the market today, creatine stands out as one of the absolute best. And the best part is it does all these things naturally and safely. When it comes to improving body composition and workout performance, creatine is basically all pros and no cons. But you probably knew all of that already. The confusing part is sorting through all the marketing to find out what to actually buy. Is liquid creatine the way to go? Are pills fine? Or is powder really the way to go? And what about the different forms of creatine? Is something fancy sounding like creatine nitrate worth it? Ethyl ester? Hydrochloride? Or have none of these newcomers dethroned the crusty ol’ creatine monohydrate? Well, this article is going to answer all these questions and more. In fact, I’m going to try to answer just about every question you can have about creatine, so let’s dive right in. Does Creatine Have Any Side Effects? Should You Take Creatine When You Want to Lose Weight? Does Caffeine Make Creatine Less Effective? 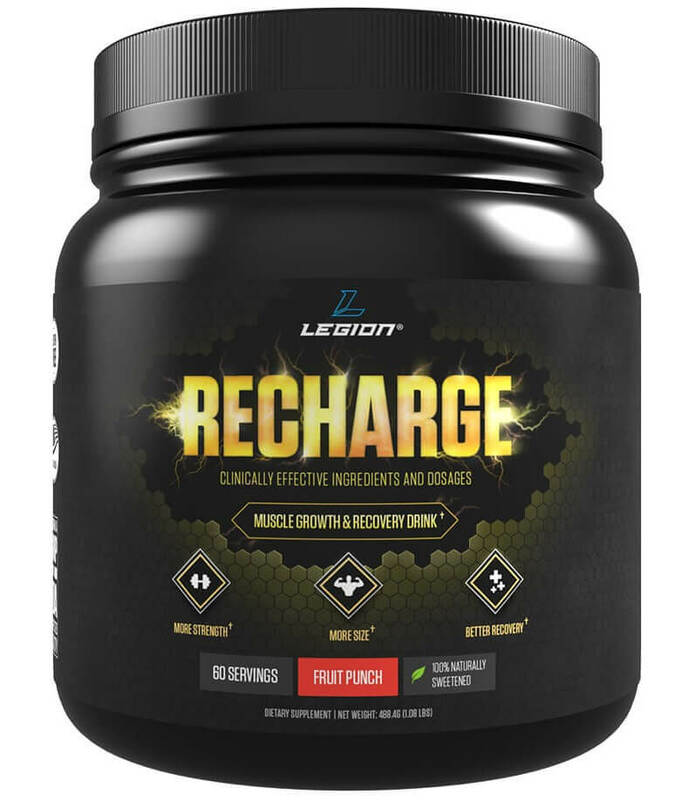 It’s comprised of the amino acids L-arginine, glycine, and L-methionine, and it’s present in almost all cells and acts as an “energy reserve.” Cardiac and muscle tissue in particular contain high levels of creatine. The most basic unit of cellular energy is a molecule known as adenosine triphosphate or ATP. When an ATP molecule is used up by a cell, it’s broken down into smaller molecules that are then, through various processes, “recycled” back into ATP for re-use. The more ATP your cells can store and the faster your body can regenerate ATP, the more work it can do. This applies to all body systems, including the functions of skeletal muscle. I mentioned earlier that creatine acts as an “energy reserve” for your cells. It does this by accelerating a process whereby ATP is formed from one of its precursors known as adenosine disphosphate (ADP). To keep the explanation relatively simple, creatine donates a molecule to ADP that allows for it to be rapidly converted into ATP. Creatine allows for rapid ATP replenishment but its stores are very limited. Once they’ve been depleted, the body must turn to glucose or fatty acids to continue producing ATP. Now, your liver produces the majority of your body’s creatine and you can get some from the food you eat, but what happens when you supplement with it directly? Your total body creatine stores increase, with the vast majority located in your muscle cells. And what do you think happens in your training when your muscle cells have significantly higher levels of readily available energy? You got it–performance is enhanced. And that’s why research shows that creatine improves strength and power and anaerobic capacity and reduces fatigue. Creatine’s muscle-related benefits don’t stop there, though. It directly helps you build muscle faster. Research shows that creatine supplementation increases the water content in muscle cells. 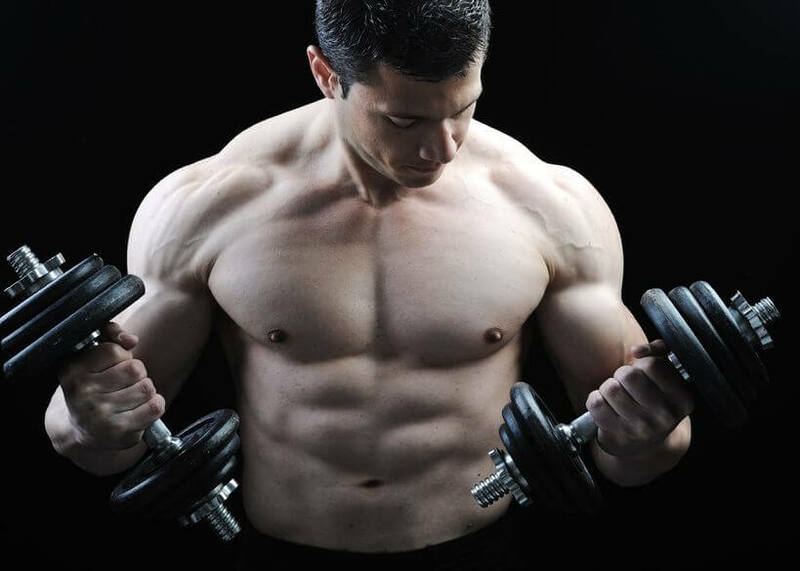 This makes them bigger, of course, but also causes changes related to nitrogen balance and the expression of certain genes related to hypertrophy. Other research also suggests that creatine also has anti-catabolic effects, which further helps with long-term muscle gain. The form of creatine used in the majority of studies demonstrating its benefits is a powdered creatine monohydrate. Many supplement companies promote other forms as superior, though, like liquid creatine, buffered creatine, creatine nitrate, citrate, and hydrochloride, and many others. These variations are certainly more expensive than the tried-and-true monohydrate, but are they actually better? Creatine citrate is created by binding creatine to citric acid, and it’s no better than monohydrate in terms of benefits. Creatine malate is creatine bound with malic acid, which may have ergogenic benefits by itself but hasn’t been studied in conjunction with creatine. Creatine ethyl ester is a form of creatine that is supposed to be more bioavailable, but research shows it’s less effective than monohydrate, on par with a placebo. The reason for this is when you ingest creatine ethyl ester, it’s quickly converted into an inactive substance creatinine, which confers none of creatine’s benefits. Liquid creatine is created by suspending a form of creatine–usually monohydrate–in a solution like water and the amino acid glycine. Supplement companies claim this has many advantages over powdered forms that you mix yourself–better absorption, smaller effective dosages, less kidney strain and bloating, and more–but it’s all hype and no substance. Ironically, research shows that liquid creatine has no ergogenic benefits whatsoever. This is because suspending creatine in liquid for several days causes it to break down into the inactive substance creatinine. Creatine hydrochloride is created by binding creatine with hydrochloric acid and it’s usually sold as a “concentrated” form of creatine. That is, it’s claimed that you don’t have to take as much as monohydrate to get the same effects. There are no studies that have proven this and it doesn’t make much sense anyway–your stomach has plenty of hydrocholoric acid and the two molecules (creatine and hydrocholoride) dissociate upon digestion, leaving you with the same end product of ingesting creatine monohydrate (free creatine). Buffered creatine is a form of creatine monohydrate with a higher pH level, which is claimed to make it outperform plain monohydrate. There is no research to back up these claims, however. In fact, one study found that buffered creatine monohydrate was no more effective than the regular form. When you bind creatine with pyruvic acid, you get creatine pyruvate. Creatine pyruvate has been shown to produce higher plasma levels of creatine than monohydrate but absorption wasn’t improved. Another study found that creatine pyruvate may benefit endurance more than creatine citrate, but these findings have been contradicted by other research. Like creatine magnesium chelate, more research on creatine pyruvate is needed. When you look at the whole picture, creatine monohydrate is still the best bang for your buck. It’s worth noting that if creatine monohydrate upsets your stomach (it can happen), you may do better with a more water soluble form such as micronized creatine or creatine nitrate. Research shows that supplementing with 5 grams of creatine per day is optimal. When you first start taking creatine, you can “load” it by taking 20 grams per day for the first 5 to 7 days (followed by the “maintenance” dosage of 5 grams per day). You don’t have to load but studies show that it causes the creatine to accumulate quickly in the muscles, which helps you reap its benefits sooner. It’s best to take creatine with protein and/or carbohydrate because they increase muscle absorption (mainly due to the elevation in insulin, which causes cells to take in nutrients). I eat a fair amount of food after training, which augments creatine accumulation. Studies show that taking creatine after a workout is slightly more effective for increasing strength and lean mass gains than taking it before. That may sound ominous but don’t mistake creatine for steroids, which can shut down (and even permanently damage) your endocrine system. This used to be an issue with creatine monohydrate but since processing has improved, the problem has faded away. You shouldn’t notice any difference in subcutaneous water levels when you supplement with creatine. If you have healthy kidneys, you have nothing to fear from creatine. And even if you have impaired kidney function, you’re unlikely to experience any problems. In one study, 20 grams of creatine per day caused no harm to someone with one slightly damaged kidney. That said, if you have any kidney issues, check with your doctor before starting supplementing with creatine. One of the reasons people still believe creatine stresses the kidneys is relates to a substance known as “creatinine,” which is produced when your body metabolizes creatine. In sedentary people not supplementing with creatine, elevated creatinine levels can indicate kidney problems. In people exercising regularly and supplementing with creatine, however, high creatinine levels are to be expected. Many active people taking creatine don’t know this though and are alarmed by high creatinine levels popping up on a blood test. Yeah…getting swoler than Broseidon, keeper of protein shake seas. The only side effects commonly experienced are stomach cramping, which is usually caused by insufficient daily water intake, and diarrhea, which is usually caused by taking too much at once (20g+ in one go is likely to cause GI issues). If you drink around a gallon of water per day and never take more than 5 grams of creatine at a time, however, you shouldn’t experience any negative side effects. Women want to accomplish the same basic goals as guys (build some muscle, get lean, and stay there), and creatine helps both genders equally. Many women shy away from creatine because they “don’t want to get bulky” or are afraid of bloat. Well, weightlifting and creatine do not make women bulky and as you know, bloating is basically a non-issue these days. In fact I think it’s one of the best supplements you can take when you’re dieting to lose fat because it helps you maintain your intensity during workouts, which typically translates into more muscle retention during a cut. This is the “secret” to not just “losing weight” but optimizing body composition. The more you can lose fat and not muscle while “cutting,” the better your long-term results are going to be. Creatine may accelerate balding in men with male pattern baldness but more research is needed to fully understand the implications. The mechanism behind this relates to the hormone dihydrotestosterone or DHT, which is a primary factor behind male pattern baldness. If you’re susceptible to hair loss, higher amounts of DHT are going to cause it to happen quicker. Creatine comes into the picture because of a study that showed creatine supplementation increased DHT levels in male rugby players by about 40 to 60% after three weeks of usage. This study hasn’t been replicated yet so we can’t be certain that its findings apply generally, but if you’re worried about balding, it may be best to either avoid creatine supplementation or “stack” it with something that combats hair loss, like Propecia. A study conducted by scientists at the University of Leuven found that taking creatine and caffeine together resulted in a smaller increase in muscle power than taking just creatine alone. We’ll have to see what shakes out of further research, but for now you can just “play it safe” by separating your caffeine and creatine intake (which should happen naturally if you’re taking your creatine post-workout). Creatine is one of the only workout supplements that can directly and safely increase muscle growth and strength and anaerobic performance. If you’re exercising regularly, you should be taking creatine. And even if you’re not exercising regularly, you can still benefit from it. Research shows that elderly people that don’t exercise can use creatine to reduce muscle loss associated with aging and improve their quality of life. So, pick up some creatine monohydrate, take 5 grams per day with your post-workout meal, and enjoy the benefits. What’s your take on creatine supplements? Have anything else to share? Let me know in the comments below!